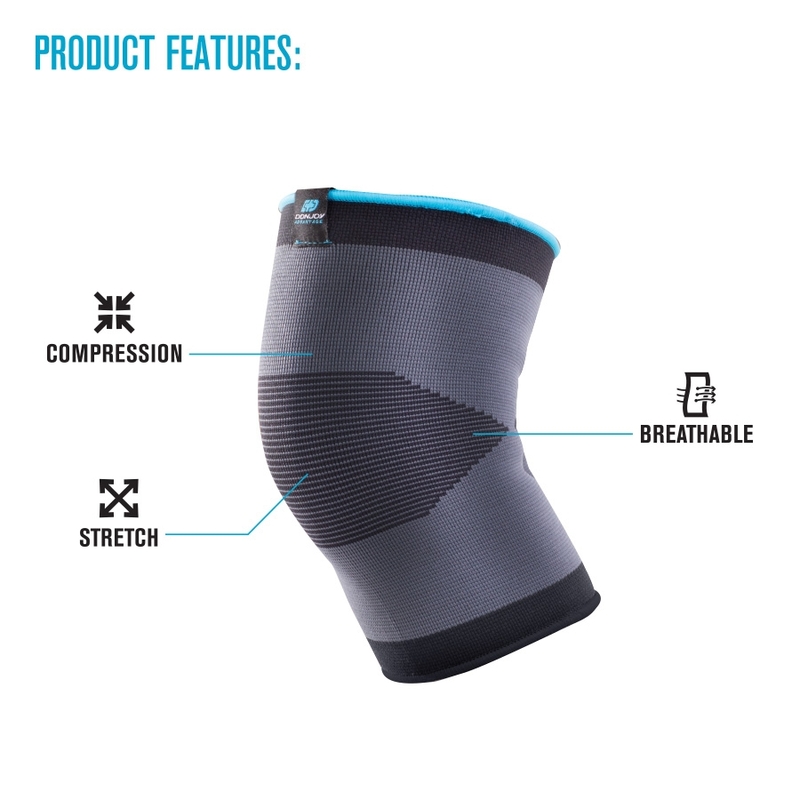 Supportive, compression knee sleeve provides compression and mild support. You don't have to let knee pain sideline you from your favorite activities. Whether you're recovering from a knee sprain or strain, swelling and soreness from overuse, or arthritis, the DonJoy Advantage Elastic Knee can help ease knee pain and reduce swelling. The Elastic Knee is slim and lightweight so it can be worn discreetly under your clothing, and you can go about your day without aches and pains. The DonJoy Advantage Elastic Knee delivers mild support and compression for injuries such as sprains, strains, swelling, soreness or arthritis. The Elastic Knee uses lightweight elastic knit technology to help reduce swelling and keep the knee protected and supported during day-to-day activities, delivering excellent compression and breathability. The Elastic Knee is a slip-on, lightweight knee sleeve that's easy to wear and simple to apply. Slip your foot into the sleeve and slide the Elastic Knee up and over the knee. Make sure the kneecap is located within the the compression zone and the tag centered over the knee. Sleeve should be snug but not too tight to impair circulation. Adjust as needed. Inches 13 - 14" 14 - 15" 15 - 17" 17 - 19"
Size is based on the knee circumference, measure around the center of the knee. Slip your foot into the sleeve and slide the Elastic Knee up and over the knee. Make sure the black design is over the knee cap. Adjust as needed. Fits as advertised, arrived in a timely manner. Satisfied. Cons: There are no negative comments.